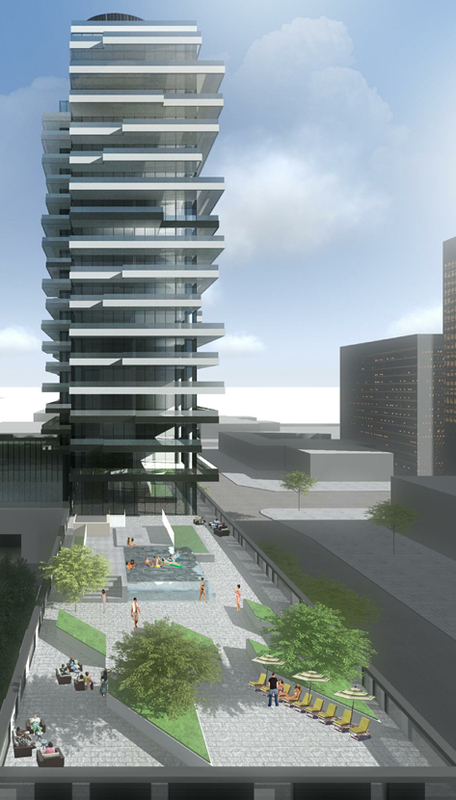 The Riverfront development, located in downtown Calgary overlooking the Bow River, will be comprised of two residential towers constructed on top of a mixed-use podium. 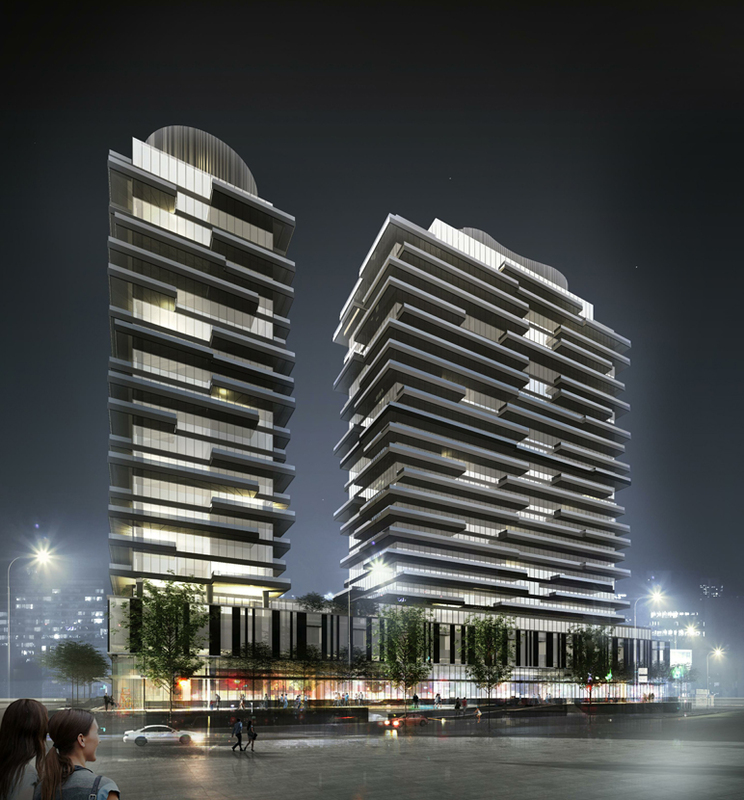 The development is located at the corner of 4th Avenue SW and MacLeod Trail in the heart of downtown Calgary. It is close proximity to the downtown commercial and retail centre while also having easy access to the recreational trails along the Bow River. 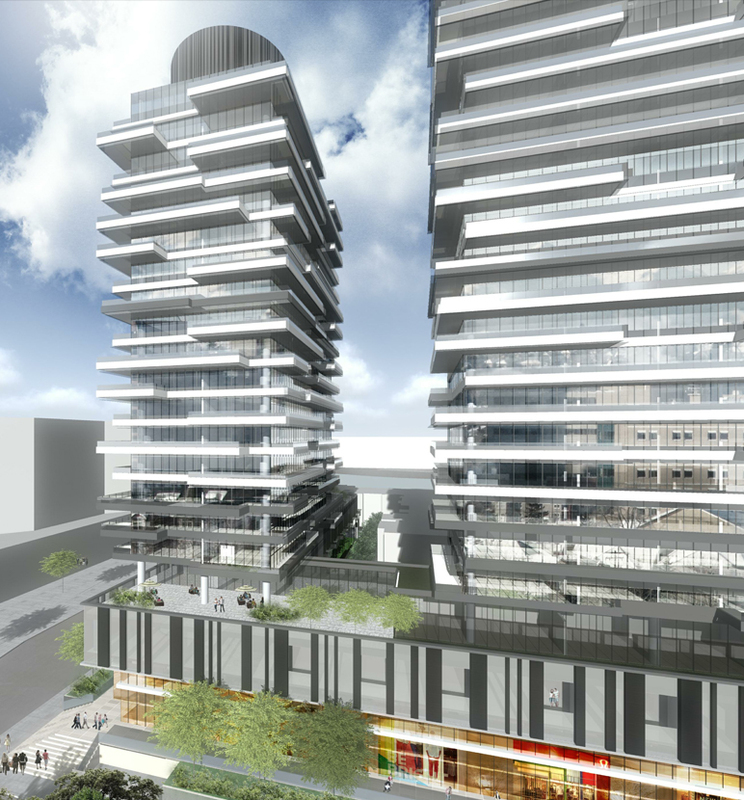 Two residential towers (21 and 24 storeys) will be anchored over a 4-storey podium that will accommodate amenity, two-level townhouses, and retail spaces. There will be four levels of underground parking and at grade landscaping. 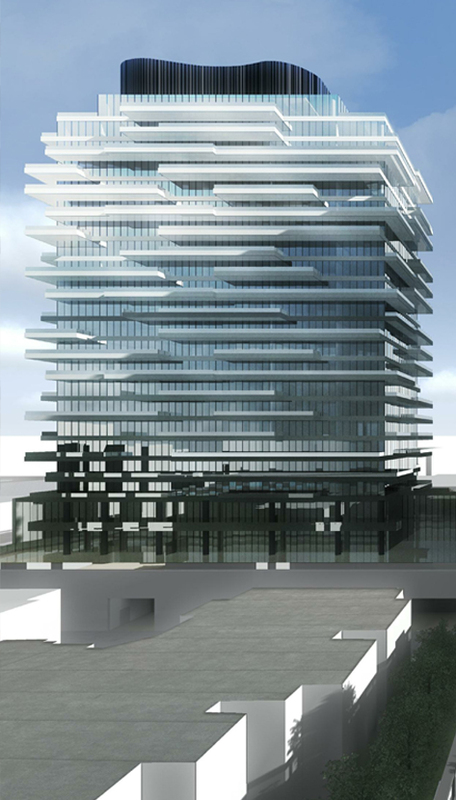 Challenge: The principal structural engineering challenge consisted of reconciling the residential tower structural grid with those of the podium level retail spaces and the below grade parking, while minimizing transfer structures. Solution: We proposed two options to reconcile the differing structural grids. The first option involved relocating the parking level locker spaces so that the drive aisle and parking spaces shifted such that the above and below grade structural grids were largely aligned. The second option involved leaving the parking layout unchanged but placing extended length columns between some of the parking stalls so that the tower structure landed cleanly on this without creating obstructed parking spaces. Both options were practical but the second option was selected because it required the least re-programming.